Don’t miss the opportunity to have your games filmed at the Pleasanton RAGE College Showcase 2019. Below is a highlight clip with The 10 Best Goals of the U9-10 Norcal State Cup Finals 2017. We use HD cameras mounted on 30-foot tall tripods to film the games from the best angle and view of the field (as seen on TV). Includes the filming service of the entire game plu s a High Definition file from the game transferred via link, or a Youtube link of the game on the week after the Tournament, this team package cost $175. or the Youtube Link on the week after the Tournament at $150 one game , $285 two games or $350 three games. If your team wants 17 DVDs of the game it cost $20 extra. We can LIVE STREAM the games in YouTube and watch it anywhere, per $100 extra. We’ll need photos and a player profile resume and the final clip will be uploaded to YouTube. NOTE: Another filming from an elevated viewpoint is not permitted, as this is an insurance liability to the Pleasanton RAGE College Showcase 2019. Did you ask yourself why the Pro Soccer players use a Vest? GPS device to measure every move that you will make at the game or practice. 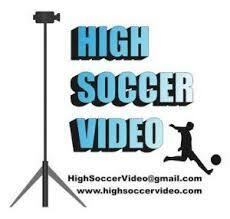 Titan kits are $225 per kit, but you will receive a 10% discount with the promo code highsoccervideo. There are no subscriptions or fees. – Unlimited roster and coaches. – Real-time data. Provides on field access to key metrics so you can hit training targets for each player every session. – Readiness surveying for monitoring stress, fatigue, sleep, mood, and player reported session difficulty. – Synchronizing video with GPS playback.